Azerbaijan’s Ambassador to Pakistan, Ali Alizadeh, has said that Azerbaijan sup­ports the peace and stability process in Afghanistan and will also make efforts with Pakistan in this regard as a member state of the Heart of Asia-Istanbul Process dialogue forum. The ambassador said that Azerbaijan is Pakistan’s strategic partner in different areas of mutual interest and would like to focus on further increasing energy, trade, economic, cultural rela­tions between the two countries which would benefit largely if there is peace in the region. “We have strong strategic political, military, defence and diplomatic ties with Pakistan and work on to further strengthen our economic and trade ties and reach the same strategic level. The trade vol­umes between two countries have increased around 25 to 30 per cent in the recent year, but still there more potential and opportuni­ties in differ­ent areas,” he added. “Azerbaijan al­ways supports Pakistan in achieving peace and stability in the region,” he further added. “In 2017 Azerbaijan-Pakistan-Turkey trilateral cooperation forum was established and the first meeting of Ministers of Foreign Affairs was held in Baku. 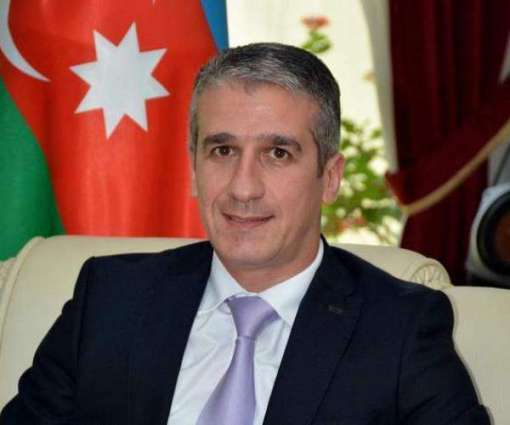 This year Pakistan will host the meeting and we expect more trilateral cooperation as well in trade, energy, defence production, technology, tourism and other areas of mutual interest,” the Azerbaijani ambassador said while adding that military cooperation is the key area with Pakistan for Azerbaijan. “Both countries have suffered a lot from ter­rorism and extremism and obviously have sup­ported each other,” he added. He also said that Azerbaijan, as the member of OIC Contact group on Kashmir, is looking forward to a peaceful solution of the Kashmir dispute.